​Oil & gas engineering news changes by the moment. There are very few industries that experience such rapid changes, making it critical for facility managers, engineers, and other professionals to stay hooked into a solid information source. Moreover, there has been a drastic increase in the difficulties and technical challenges that the industry faces, which means today’s decision-makers have to work twice as hard, if not more, to maintain a successful operation. As a comprehensive online oil & gas processing news outlet, this site’s goal is to provide professionals with the knowledge needed to compete in today’s market. ​Get information that’s facility-specific and read oil & gas processing news. On an ongoing basis, oil & gas engineering news for various facility-types will be added. Articles will include engaging topics with a focus on solving both common and complex issues that professionals face. Gain instant access to a wealth of information on various topics. Receive the latest industry news. In a global industry such as this, it’s critical to know what’s happening in both local and distant jurisdictions. Articles related to new projects and contracts will be published as they occur, as well as other business dealings and events, providing those who oversee facilities with relevant and useful information. Read material on the newest regulatory changes. Numerous agencies provide guidance and rules for processing, even with individual jurisdictions. Moreover, these requirements are routinely updated, especially those pertaining to environmental concerns and safety. Stay on top of the latest developments, and learn how to integrate new policies into facility operations, in order to meet or exceed compliance obligations. 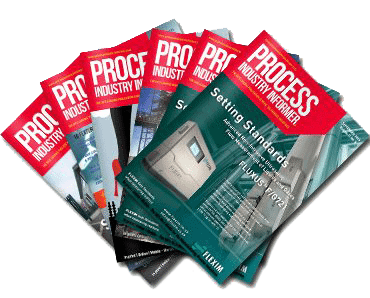 Everything industry professionals need can be found in one online oil & gas processing magazine. This online source for all industry-related information will be continually updated with the latest information as it becomes available. Over time, a fully-stocked library of data will fill the archives, providing managers, engineers, and other decision-makers with easy access to a wide array of solutions and answers. For subsequent quick retrieval of news and information, take a moment to bookmark this page now.